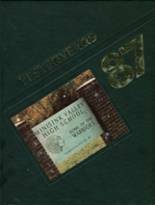 Listings of high school yearbooks for Minisink Valley High can be found below. You will find former students who are seeking yearbooks, those looking to sell a yearbook and general yearbook requests among the Minisink Valley High yearbook listings. This yearbook section was created to help alumni post yearbook classifieds. We also encourage you to keep up to date on news and reconnect with Minisink Valley High School alumni. Would love to have a 1980 yearbook. I have never had a year book , if any one has a extra one I would be more than glad to buy it off of you. I graduated 1975 (903) 486-5246. Class of '69... somehow when we moved to Vermont in 1971, my yearbook and box of memories from Minisink and the Woodstock festival went through the auction we had. Would love to see the yearbook! 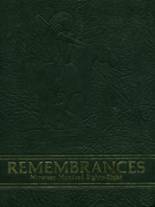 Lost my yearbook during my moves in the USAF.